 Welcome to badgercropdoc.com! 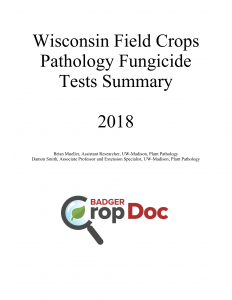 Badger Crop Doc is a one-stop-shop for all things Wisconsin Field Crops Pathology related. We have merged the website and blog found at / with our University of Wisconsin academic website, so that all information can now be found in one place. 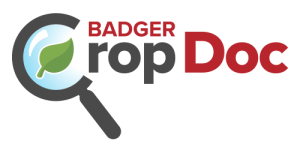 If you subscribed to the blog posts at /, don’t worry, we have already moved your e-mail over to badgercropdoc.com. Be sure that browsers are now pointed to the new URL and check your e-mail folders to be sure blog postings aren’t going to junk or trash. No new postings will be added to /. 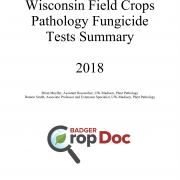 BadgerCropDoc was made possible with support from the Wisconsin Soybean Marketing board and is meant to be complementary to badegrbean.com and coolbean.info, while offering research-based information for the major field crops of Wisconsin. We hope you enjoy this new resource. As always, please let us know what you think. We would love to hear feedback. 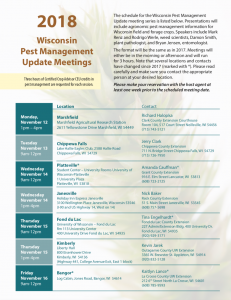 Be sure to get the latest field crop pest management updates, by attending the 2017 PMU Meetings! 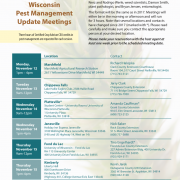 Mark your calendars as the UW Extension’s Pest Management Update meetings are just around the corner (November 6-10). This year’s program will follow the same format as in 2016. Meetings will either be in the morning or afternoon and will run for 3 hours. Morning meetings will begin promptly at 9am and run to 12pm. Afternoon meetings will begin at 1pm and conclude at 4pm. The full schedule with dates, meeting locations, and registration contact information are in the link below. Please register with the host agent at least 1 week prior to the meeting at the location you wish to attend. The speakers will be extension specialists Mark Renz, weed scientist, perennial cropping systems; Dan Heider, IPM outreach specialist, Bryan Jensen, entomologist, and Damon Smith, field crop pathologist. 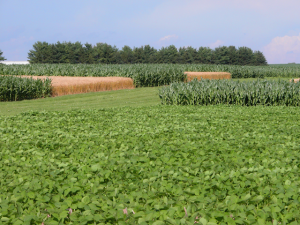 Integrated Pest Management Updates in corn, soybeans, alfalfa, and small grains: Update on new products and/or use of existing products as well as brief highlights of the 2017 pest situations in each crop. CHECK OUT THE FULL MEETING SCHEDULE BY CLICKING HERE! https://badgercropdoc.com/wp-content/uploads/sites/5/Fungicide-on-Alfalfa-300x156.png 0 0 damonsmith https://badgercropdoc.com/wp-content/uploads/sites/5/2018/05/bcd-color-300x153.png damonsmith2016-05-25 08:57:192016-05-25 08:57:19What about Fungicide on Alfalfa for Dairy Production in Wisconsin? Clover root curculio damage is being observed in several parts of Wisconsin this year. It is an occasional insect pest on alfalfa, clovers and other legumes. Damage can be serious but usually is infrequent and localized. To learn more about this pest and how to manage it, click here to go to the Wisconsin Crop Manager Article. 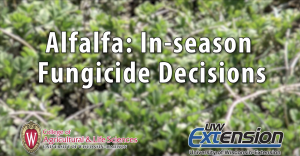 Recently new fungicides have been labeled for use on alfalfa for dairy production systems. Interest in using these products has increased among farmers in the state of Wisconsin. Data from the 1980s suggested that fungicides applied to alfalfa controlled foliar diseases and increased yield. However, alfalfa varieties, management practices, and disease control products have changed dramatically since this research was conducted. Therefore, new research was conducted to evaluate modern fungicide products on alfalfa grown under 21st century management practices. 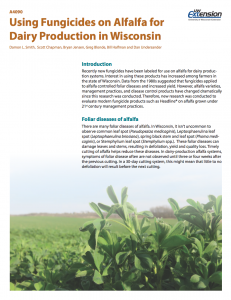 This new fact sheet is now available, which summarizes this research to evaluate the efficacy and economics of applying fungicide to alfalfa in Wisconsin. CLICK HERE TO DOWNLOAD A PDF VERSION OF THIS FACT SHEET. 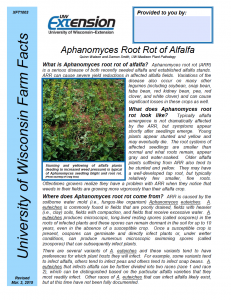 New Fact Sheet Describing Symptoms of Aphanomyces root rot and how to manage it. 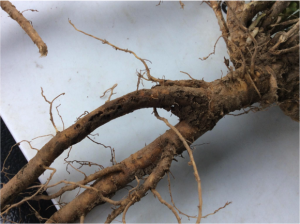 A new UW Extension disease fact sheet on Aphanomyces root rot has recently been developed and ready for download. The fact sheet describes symptoms of Aphanomyces root rot, gives details about the pathogen that causes the disease, and gives some management ideas. 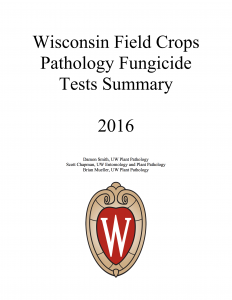 You can download the fact sheet by visiting the ‘Fact Sheet’ section of the UW-Madison Field Crops Pathology website or CLICK HERE. Revisions to fact sheets describing symptoms and management of Ergot of small grains and Fusarium head blight of wheat are also now available for download. To access these fact sheet, visit the ‘Fact Sheet’ section of the Field Crops Pathology website or CLICK HERE FOR THE ERGOT FACT SHEET or CLICK HERE FOR THE FUSARIUM HEAD BLIGHT FACT SHEET.